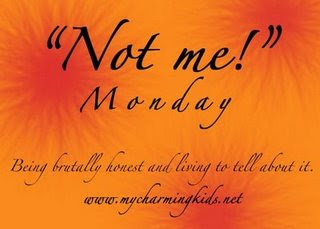 Even though I am on vacation, I thought I would still post all the things I definitely did not do this past week. 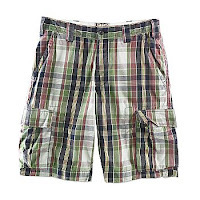 While shopping with Devin today, I did not laugh when he tried on plaid shorts. Nope not me. I would never laugh at my husband. I just can't see him in those shorts! I have not gone to bed after midnight everyday this past week because my husband is working long and hard at his 2 jobs . And I have not been sleeping in until 9:30 either. And I am not totally excited about my week off to clean, weed, sleep in, take naps, cook, sew, catch up with friends, garage sale and just about do whatever I want!